Portuguese Alambic with the Column. 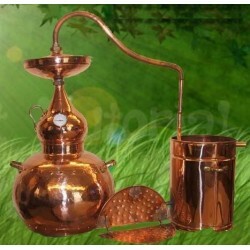 The products are very easy to use and do not require special skills. 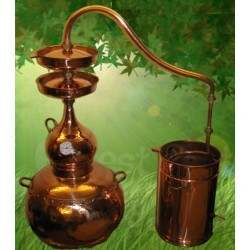 And using our products you get a product of very high quality. All connections are made by professional welding, which ensures reliable sealing. The main feature of this model is the presence of a column. 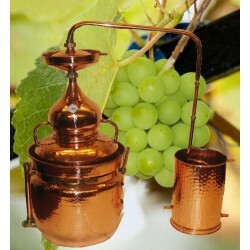 Using this product you can receive both alcoholic beverages and oils. 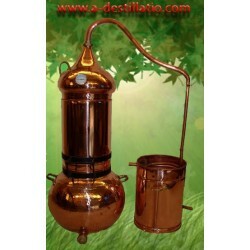 With a removable column and built-in strainer for filtering, designed to produce elite alcoholic beverages. 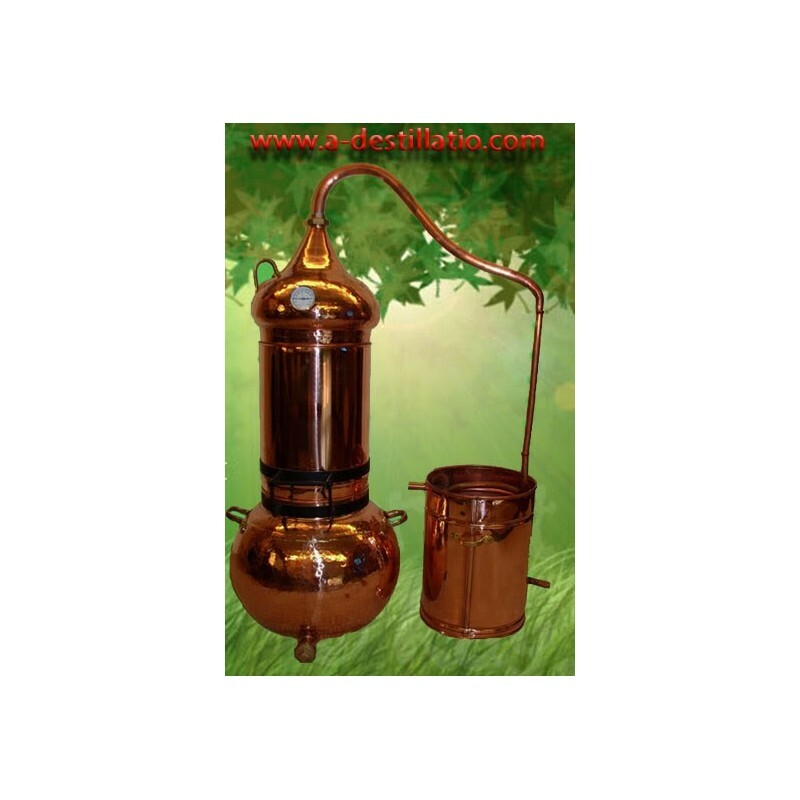 To obtain oils, the Alambic cube is filled with water and the column is supplied with raw materials. 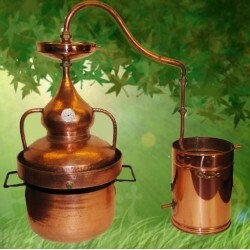 Steam passes through the organics of plants and captures molecules of essential oils. At the exit you will get fragrant water and valuable oil. Also in the tank you can pour the brew and put the herbs or other products in the column to give the product a certain smell. The product is universal - the column is removed and you get a classic alumbic. Drinks made with their own hands from natural ingredients are much safer for your health and the health of your loved ones.